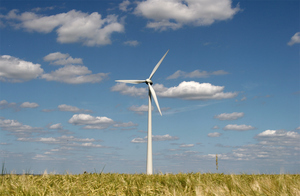 The government reaffirmed its position on wind energy this week by hailing it as a ‘crucial’ part of Britain’s plan to secure the future of its energy. This announcement came in response to a recent article published by the Daily Mail that claimed the amount of electricity generated by wind dropped by 20%, despite an influx in the number of turbines that came online in 2013. A spokesperson for The Department of energy and climate change (DECC) criticised the publication, claiming that the article failed to take into consideration the latest figures. The DECC spokesperson said the latest set of figures, published in December last year “…showed that despite unusually low wind speeds in September, wind generation in the three months to October had increased by 5.9% in comparison to the same period the year before." However, The Mail is not the first to criticise the UK government on its stance surrounding wind energy. This week the Scottish National Party (SNP) also criticised the British government for sending mixed messages about its support for wind energy. Wind power has really taken off north of the boarder creating 13,000 jobs in Scotland. But the SNP claim all of this could be put at risk if the government continue to be allusive when questioned over future budgets.